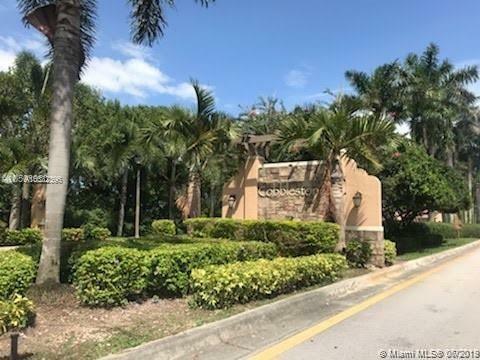 1224 SW 147th Ave #3, Pembroke Pines, FL.| MLS# A10532396 | Susan J Penn l Best Agent l Buy & Sell South Florida Homes! GREAT TOWN HOME IN COBBLESTONE COMMUNITY, This particular floor plan is the most common in the community of âCobblestoneâ among the âCourtyardâ town homes. town home with a two car garage in this Mediterranean inspired development west of I75 in Pembroke Pines. 3 bedrooms & 3 full bathrooms. Interior courtyard that leads connects the garage to the home, mid-size kitchen open to the living/dining room stacked washer & dryer is in the kitchen downstairs. This is a great town home for those buyers that are looking within the community and need a garage and a full bedroom and bathroom downstairs. Do note that the master bedroom is upstairs however. PROPERTY VERY WELL LOCATED CLOSE TO HIGH WAYS, PLAZAS, PEMBROKE GARDENS MALL, PEMBROKE LAKES MALL, RESTAURANTS. Directions: From I-75, Take Exit Pines Blvd West, Then Left On 149 Avenue, Go At The End, Then Left Again.